Ed Klein worked as AD for five years at Kayhi. Ask any student who Ed Klein is, or what he does, and they’ll be able to tell you. Then ask Kayhi students what Klein’s favorite thing to do is and they’ll say golf. That’s why most people know about Klein’s signature shirt: The Kayhi School Golfing Team. Of course Kayhi doesn’t have a golf team, but because, “golf is the purpose of life,” for Klein, he proudly wears it anyways. Because of Ketchikan’s lack of a golf course, Mr. Klein takes every opportunity to go golfing when he’s down south, or to goes to the course in Wrangell, or to his friend’s house who has a virtual golf simulation program. Even though Ketchikan doesn’t have a golf course, Klein has lived here his entire life, except during his college education when he attended Brigham Young University. There he earned his Bachelor’s Degree in Justice Administration, and then began law school before he realized he wanted a different career. 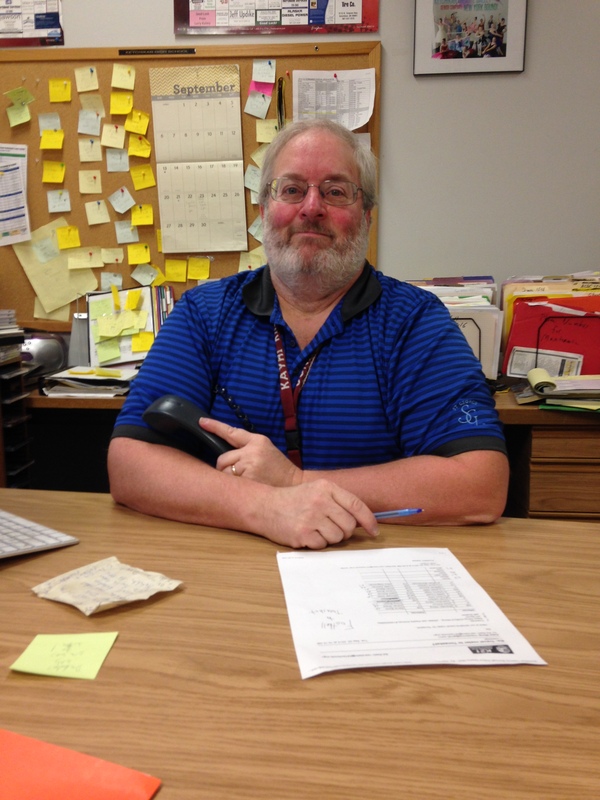 Since then, Klein has worked as both a paraprofessional and the Athletic Director at Kayhi. His eccentric personality has allowed him to really connect with the students. Swim coach Megan Beattie has worked with Klein for many years, and she said he is one of the hardest working people she’s ever met. “[Mr. Klein is] quirky, and he’s got a personality,” said Beattie. Being the Athletic Director at Kayhi is a monumental task, but because of Klein’s hard working nature he still did an amazing job according to Beattie. “He did awesome. He was here at school more than anyone should have to be. It’s like a 24/7 job, and when I coach I can always call him anytime of the day, and he’ll help out,” said Beattie. But, despite being super busy the job has its perks and combines two of Klein’s favorite things. Klein doesn’t have any solid plans for what he’s going to do after his resignation, but he’s on the hunt for something awesome. Athletes here at Kayhi like Mo Bullock will definitely notice his absence. “Ed is the kind of guy you can get inspiration from, and he’s awesome,” said Mo Bullock. 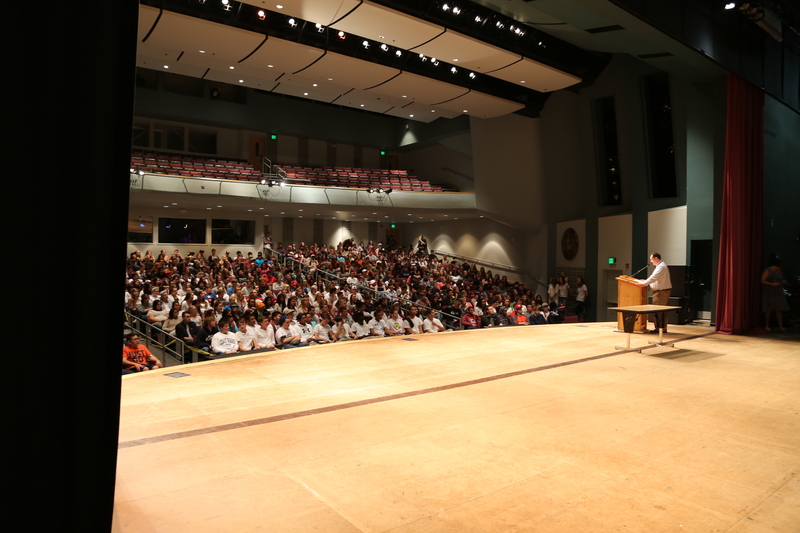 Kayhi Principal Mr. Marshall addresses the freshman class Sept. 9 during freshman elections. Three students were elected to the Student Body Association freshmen offices on Sept. 9 in the Kayhi auditorium. Raevyn Goodson will be filling the position of freshmen class President. Molly O’Brien is the new freshmen class Vice President and Jacie Johansen is freshman class Secretary. 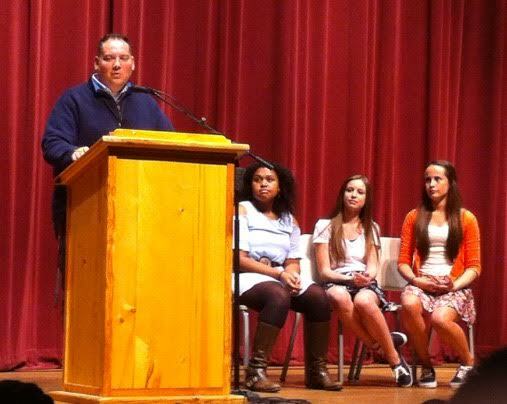 The assembly began with Kayhi Principal Bob Marshall introducing Kayhi Student Body President Cheyenne Mathews. Mathews introduced the candidates, who all ran unopposed. 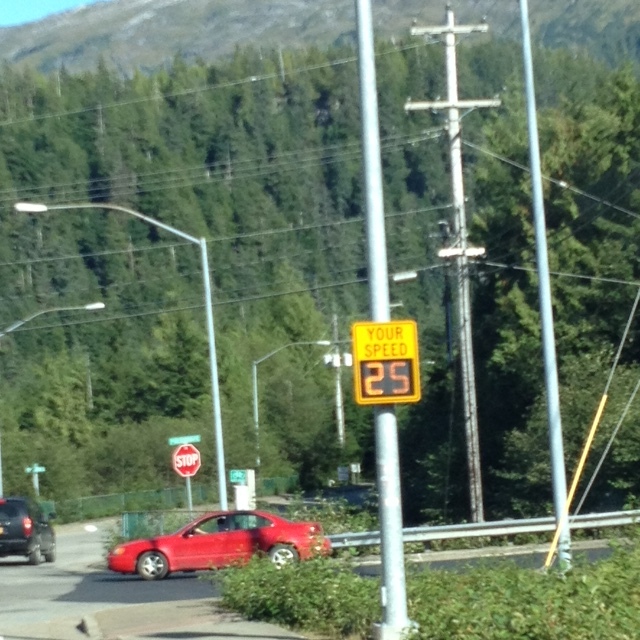 Ketchikan installed its first radar speed limit sign at the end of August on Schoenbar Road. The sign flashes a white light when drivers are over the 25 mph speed limit. KPD Deputy Police Chief Josh Dossett said the sign was placed in that specific location because of the nearby school zones and the library. “[There was] a lot of concern about the speed of cars, a couple of suggestions were thrown out, about, instead of having an officer there 24 hours,” said Dossett. The white light is not the flash from a camera but purely a warning according to Dossett. “It’s a warning, we don’t mind people thinking that though,” said Dossett on the flashing radar sign. The flashing white light of from the sign is not an epilepsy concern said Dossett. “These are used all over the country. [They are] not designed to cause [epilepsy], not sure they are on that frequency,” said Dossett. The countdown has begun and there are only 272 days left before the last day of school on June 2nd. The Kayhi student body and staff expect good things this year. Student Body Association President Cheyenne Mathews said she is excited for what’s to come and welcomes our new staff members. 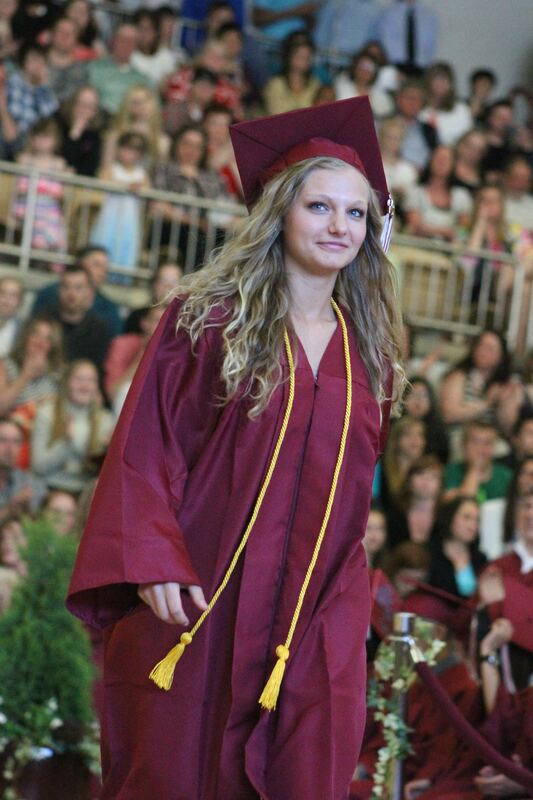 This weekend 127 students graduated from Ketchikan High School. An additional nine students from Revilla High School and Fast Track also graduated on Sunday. Kayhi counselor Robert McClory said the 2015 class was one of the brightest in years. The 2015 graduating class was offered $6.8 million in college granted and local scholarships – $3.6 million was accepted. Of that sum $200,000 were local scholarships. Senior advisor and English teacher Rebecca Bowlen said the senior officers and the class of 2015 were an easy going and helpful class. Kayhi’s Valedictorian was J.D Langert and the Salutatorian was Gwen Ranniger. Both have a 4.0 GPA. Graduation is Sunday. 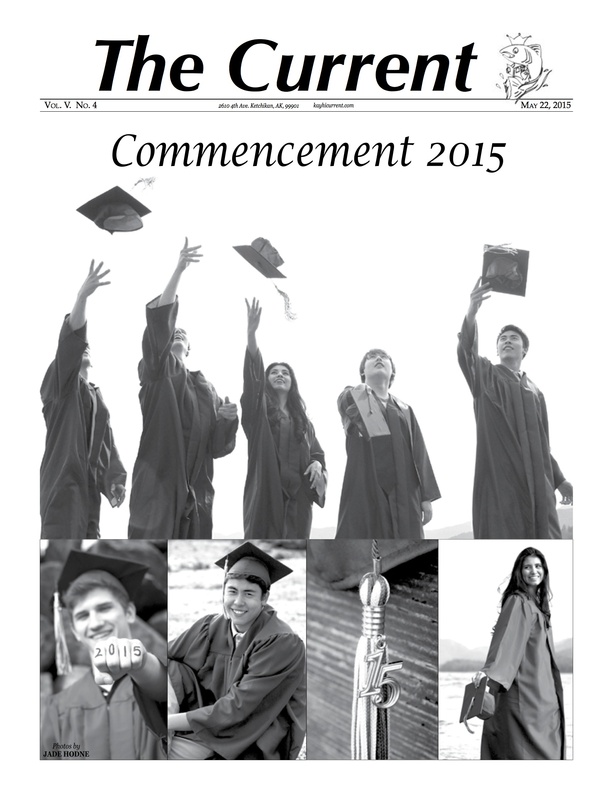 Click below for the commencement issue. 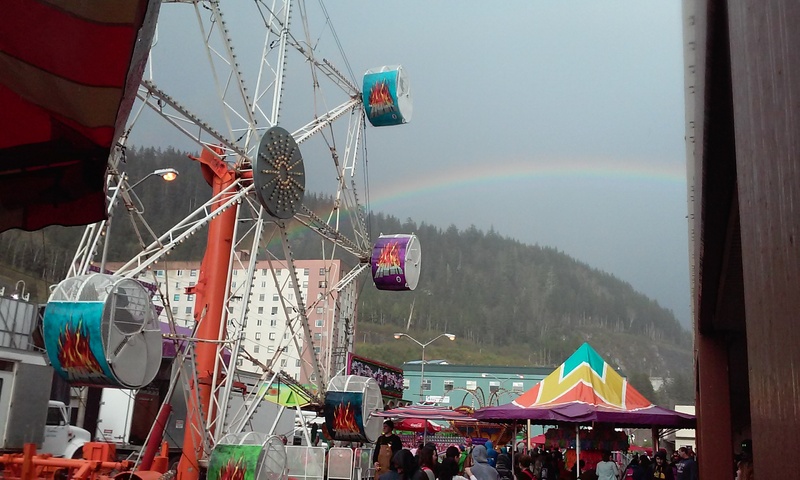 Tuesday was supposed to be the last day to catch the Golden Wheel Amusements traveling carnival, but thanks to mechanical issues with the ferry, the show will go on until Sunday. Gates open at noon and close at 9 p.m.
Scythian came to Ketchikan as part of their Old Tin Can Tour last Friday night. They played in the lumberjack arena. Around 30 songs were played that were a mix of folk and rock music.